There comes a time in every EAP course, usually at the beginning, when you have to have THE TALK with your students–that awkward moment when you address the elephant in the room. While a crappy bilingual dictionary or online translator can be sufficient for some beginning students, those who have reached intermediate level, and especially those heading into EAP, may be hindered by simplistic or inaccurate dictionaries. And while dictionary skills are on the curriculum for some EAP courses, they sometimes still focus on paper dictionaries and/or don’t talk about dictionary choice and the limitations of a lot of the translation websites and apps many of our students end up using out of convenience. Many of our students don’t realize that the translator they use like a dictionary is probably machine-driven. For their routine lookups of words they’d be better off with dictionaries compiled by humans. Below is a handout I prepared for my colleagues with some of my faves. Share yours with me in the comments (especially apps for iOS). Encourage students to not just use Google or whatever random dictionary website/app they come across, but to choose a quality dictionary site or app that is associated with a published dictionary brand. This means it should be compiled by lexicographers (and not via an algorithm/crowd-sourcing). Many students use Google translate to translate single words. That tool is a powerful one, but I don’t find it very accurate for single words. It mainly works based on algorithms and crowd-sourcing, and depends heavily on context, so it’s not as accurate as a “real” dictionary, especially for single words. On collinsdictionary.com you can select the language pairing you want to the left of the search bar. Click on the box near the search button on dictionary.cambridge.com to access all the bilingual and semi-bilingual dictionaries. A lot of the good dictionaries and learner’s dictionaries are only available as paid apps. Despite pointing out to your students that $30 for an app they may use every day of their academic career is a good investment, they may balk at paying for one. One pet peeve of mine related to digital communication via chat or SMS has always been how annoying it is to code-switch. As a result of living in a few different places over the years, I have some friends whom I communicate with in French, others Spanish and some in blends and mixtures of either or both. I have English, French and Spanish keyboards installed on my Android phone, but I always found it so annoying to have to switch keyboards each time I switched between the various Messenger/What’sApp/GChat/SMS conversations I could have going on at any given time. If I wanted to change languages a few times within one message, I’d either have to switch keyboards, or stay in one language and write in the other without the correct accents or characters (God forbid!). Astar the Robot could put their arm back on, but can they provide effective feedback on writing? Today I came across this article on a university teaching assistant who was actually a computer. “Ms. Watson” managed to fool students and fellow TAs alike, as “she” quickly and accurately answered the barrage of questions on the online forum for a computer science course in Georgia. 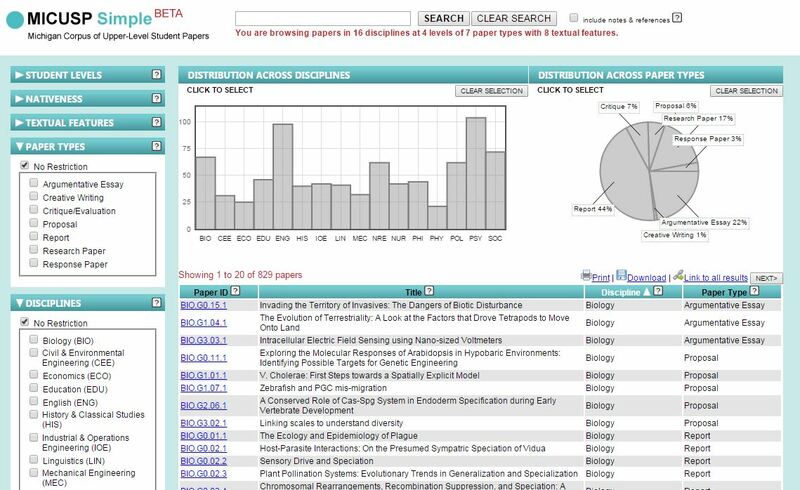 Many of the questions this robot, and most of us teaching in a university setting, respond to are requests for information that is easily accessible elsewhere–course syllabus, handouts, lecture notes, textbook, etc. What if we extended this information-gathering function that AI is so good at to the regulative rules of English grammar, spelling and structure? Could a robot like this be useful in an EAP or academic writing class? There already “robots” of sorts being used to correct writing, such as the ETS Criterion Online Writing Evaluation Service, which provides “immediate, detailed feedback on grammar, spelling, mechanics, usage, and organization and development” so that instructors can “can concentrate on the content and style of students’ work and teach higher level writing skills”. I’d love to hear from anyone who uses this or a similar service at their institution. I’ve only ever been exposed to this program in the context of TOEFL practice exams. I wonder, does this division of labour between grammar/mechanics and style/content actually work out this way? I also wonder about the format and nature of the feedback given by this software; there’s certainly no shortage of debate in the academic literature on the issue of written corrective feedback with far from across-the-board consensus on the most effective treatment of errors. .
My students regularly use software like Grammarly and Ginger Grammar, but in some cases, without the guidance of a teacher or someone more proficient in and knowledgeable about the English language, they often have difficulties in correctly applying the suggestions made or stumble on the gap between grammar and style. Chatbots have also been used as a tool for TESOL, mostly for writing practice to improve fluency, but they have their shortcomings as well. To move from book knowledge to intuitive know-how* as a language learner, opportunities for spoken practice of the language are essential. There are a host of reasons why: moving toward that point where a learner doesn’t having to think about each grammar point, for example, before they use it (automaticity), getting to know the ins and outs of how speakers use the language (pragmatics) and gaining confidence to use the target language, to name just a few. If you’re learning or teaching English in a country where English is an official or widely used language, it’s not a huge stretch to find conversation opportunities outside the classroom. If someone is learning English in a place where it’s not widely used, or living in an English-dominant country and trying to learn another language, it’s not so easy. While most learners would love to drop everything and move to a country where the language they’re learning (aka target language) is spoken for some real-life practice, reality often dictates otherwise. Here are some resources for learners to practice speaking their target language online. These sites vary widely in interface, type of community, features (and price, in some cases). Anyone planning to get involved in one of these communities should check out a few and find the best one for their needs. If you live in a city with a multicultural population or a community with a large university, you can tap into international networks to try and track down a language exchange partner. It could involve putting up a posters at the university or posting an ad on a service like Craigslist or Kijiji (or your local equivalent), keeping an eye out for programs at the local public library, joining a Meetup group or perhaps getting involved with the local group of Couchsurfers. What are you recommendation for speaking practice outside the classroom? Have you used any of these online communities? Lifehacker, one of the web’s most visited productivity blogs, regularly features articles on language learning. Most of them tend to be of the brainhack variety; they focus on how to use technology or other tricks to learn a language faster. While catching up on the blog today, three articles related to language jumped out at me. This is something I have always regularly advised my students to do, mostly based on my own language learning experiences, so it’s nice to have some research to back up the anecdotal recommendation. Once you obtain an intermediate level of proficiency, watching films in your target language with the target language subtitles (as opposed to subtitles in your mother tongue) has a positive influence on your acquisition of the target language accent. I also find it does wonders for your listening comprehension, as it closes the gap between the written language and what it sounds like in quick, connected, real-life speech. I’ve found that many of my students are surprised to be told that watching a movie with subtitles is beneficial, as they believe watching a movie in the target language without subtitles is the gold standard they’ve been striving for, even if the percentage of what they understand overall is quite low. This is an interesting one that I’ve never tried before. It seems like it would be most useful for picking up on missing punctuation, as TTS engines use punctuation as cues to add pauses and intonation. I do wonder about how well this trick would work for learners who have yet to master the relationship between punctuation and intonation in English sentences. If an expert speaker of English writes a sentence that’s missing a comma and listens to a TTS engine read it, they are going to notice the missing downward intonation and pause before where the comma should be. If a lower-level learner listens to the same sentence, will they “hear” the incorrect sentence contour, and know how to fix it? This is really great advice. In general, for learners of English, it is rarely problems with the consonants of English that lead to misunderstandings; it is the vowels. (There are a few noteable exceptions to this, for example if someone has trouble with the /r/ vs /l/ or /z/ vs. /Z/ vs. /dZ/, etc., but we’re talking in generalities here.) And it does seem to be making the tense/lax distinction in the vowels of English, as well as fully realizing both tones in diphthongs to their full extent that poses a challenge for learners, so the advice for speakers to slow down, emphasize and draw out certain vowels could be quite helpful. The other advice given in the article for public speaking, is also solid. 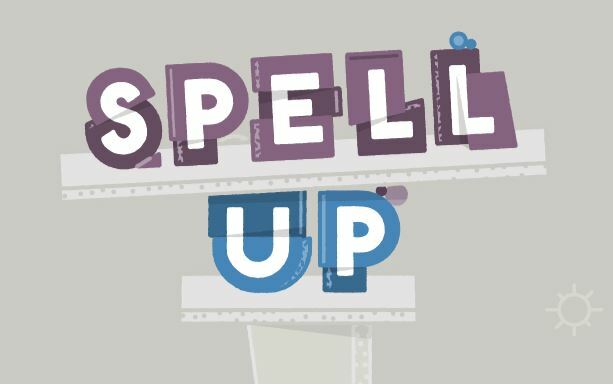 A sort of game-ified spelling bee, you hear words, you spell them into your microphone, and if you’re correct you build the words into towers. You also may be asked to pronounce the word, unscramble words, or be given a word missing letters, which you must identify and pronounce. An addition to building towers, you have all the usual game-y bells and whistles, such accumulating points, getting “power ups”, etc. Some neat features for learners are not only the ability to repeat the word spoken, but to get a translation into another language, or to hear a level-appropriate verbal definition of what the word. There’s also a feature where you can click on any letter of the alphabet and hear how it’s pronounced—a great review for low level and high-level learners alike. When you begin the game, you choose your English level—beginner, intermediate or expert—so learners can play the game at a level appropriate to their language development. This game draws on Google’s text-to-speech and speech recognition systems, as well as their translation engine and dictionaries. It’s nice to see another useful and educational application of Google’s powerful and wide-ranging technological empire. The speech recognition system is not without its shortcomings, though. You have to spell words out unnaturally slowly, pausing between letters, so that the system can recognize them. On a few occasions I had to repeat letters several times in order to get the system to recognize them, which was very frustrating. Was it my microphone, their system, or was it me? If this happened to me, a native speaker of the North American English I’m assuming their speech recognition engine was modelled after, what will happen in response to my students’ pronunciation? There’s also the issue of what and whose pronunciation will be recognized, both on the letter level and the word level. Will it recognize a range of regional, social and learner Englishes? When I was asked to pronounce a word, I was told my pronunciation was “pitch perfect”—what will it say to others? Will it judge acceptable a learner English that would be perfectly acceptable in human-to-human interaction? Or will you be able to say simply anything into the microphone and it will tell you you’re correct? These are important questions that will affect the playability of this game. I’ll have to share this game with some of my students and get their report back on it. 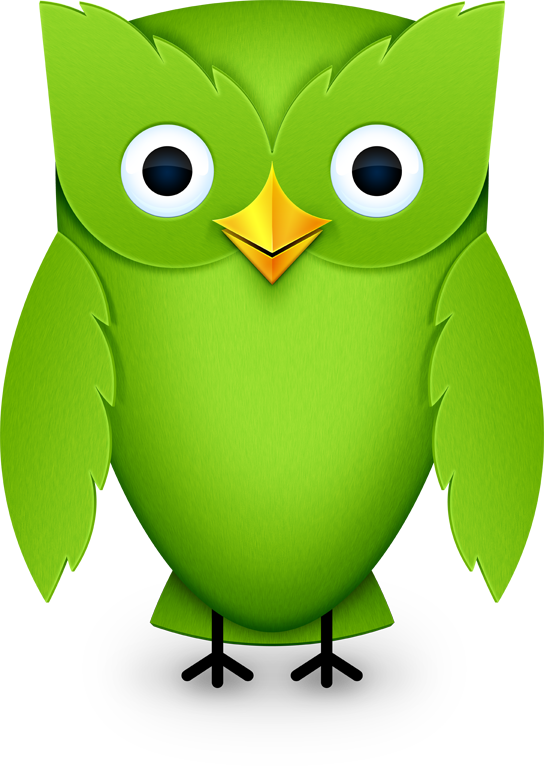 Duolingo has announced they’re developing a $20 app-based English-proficiency exam to challenge big test makers such as TOEFL, according to the Wall Street Journal. The test will cost $20, and will use your camera or tablet’s front-facing camera to record sound and video during the exam to prevent cheating. Apparently, they want their test to be accepted at companies and universities as proof of language proficiency. All the articles I’ve read about this focus on the innovative measures to prevent cheating. That’s fine. But it kind of seems to me that neither Duolingo chief Luis von Ahn, nor the journalists who’ve written about the announcement, are intimately familiar with the TOEFL, or language assessment. If they were, I think the more pressing question that would come to mind would be how a mobile-device based, crowd-sourced, grammar translation-driven language proficiency test is ever going to come close to being able to credibly test the range of skills that something like the TOEFL iBT can. Is it going to test the productive skills? Production of anything more than sentences isn’t really in Duolingo’s repertoire, and even within the language learning app, there are big issues with divergence of answers. Will reading happen beyond the sentence level, and will listen comprehension be anything beyond a nonsensical computer-generated phrase? And communicative competence? That term doesn’t even exist in the world of Duolingo. A certificate of proficiency stating that “User X is fully able to match words to pictures” just won’t pack a lot of punch out there in the real world. Perhaps they have something completely mind-blowing ready to unveil that’s going to be a sea change from the exercises and games that make up Duolingo’s language learning experience (which I have a lot of fun with in my studies of Portuguese, for what it’s worth). If so, then, bring it on! A free/cheap, accessible, widely-accepted and trusted international English proficiency test would be game-changing. As far as Duolingo producing a test on par with those the big boys that will be accepted by universities? I’ll believe it when I see it. I’m always on the lookout for quick, fun warmers. Bonus points if it’s connected to pop culture and can allow me to remind students that the language points we cover in class are all around them out in the “Real World”. I love me a good meme, and every so often a meme comes about that combines innocuous, accessible subject matter with some aspect of language in use, which just begs for it to be brought into the classroom. Here are a couple I think would be great warmers. 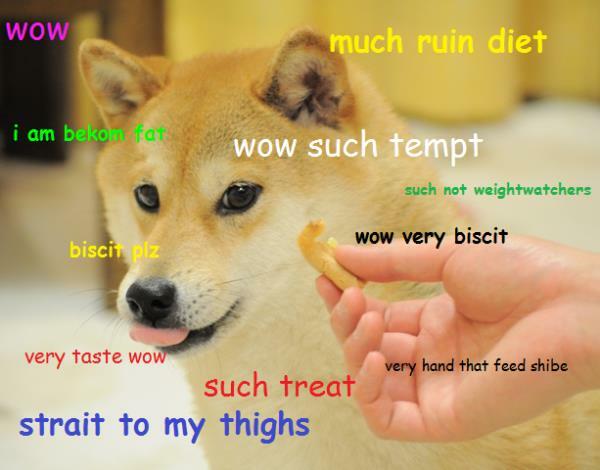 If you’re interested, click here to get into the details of the emergence of the Doge meme (and here for a discussion of how it’s even pronounced). What most of them have in common is a picture of a dog, with snippets of the the dog’s internal dialogue pasted onto the photo in multi-coloured Comic Sans. The thing is, Doge’s grammar ( and sometimes spelling) is not that great: count/non-count and noun/adjective errors in the use of so/such/much/many account for much of what gives Doge its idiosyncratic nature of speaking. These also happen to be grammar points introduced at the pre-intermediate level that remain troublesome even for more advanced learners. 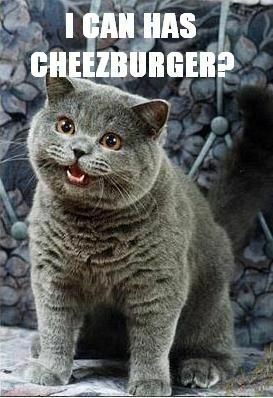 LOLCats is another meme that, like, Doge, features cute animals and text riddled with errors. The LOLCats weakness is not only grammar (lots of subject-verb agreement, superfluous plurals, word order and auxiliary verb errors, etc.) but they have major issues with spelling. This meme I have used in the classroom before; Here’s a Powerpoint of fun, classroom appropriate LOLCats that I’ve used several times with my university-level students. I used it much in the same way I described above. I ask my students if their grammar is better than a cat’s, and give them a time limit to correct the text on each of the images. The images of cats elicit rounds of “AWWwwww!! !” without fail, and discussions always arise over different possible corrections and meanings of new vocabulary such as pounce.